Anyone who writes about twins must surely have insider knowledge. So, do I have a twin brother or sister? No, I actually don’t have any brothers or sisters, though I have often wondered what it would have been like to have a sibling who looked just like me. Oh, all right … probably not a good idea. One of me is enough. The idea of twins, though, has fascinated writers through the centuries. There are look-alike twins, evil twins, estranged twins, conjoined twins, unlikely twins, mythological twins, in-an-iron-mask twins. 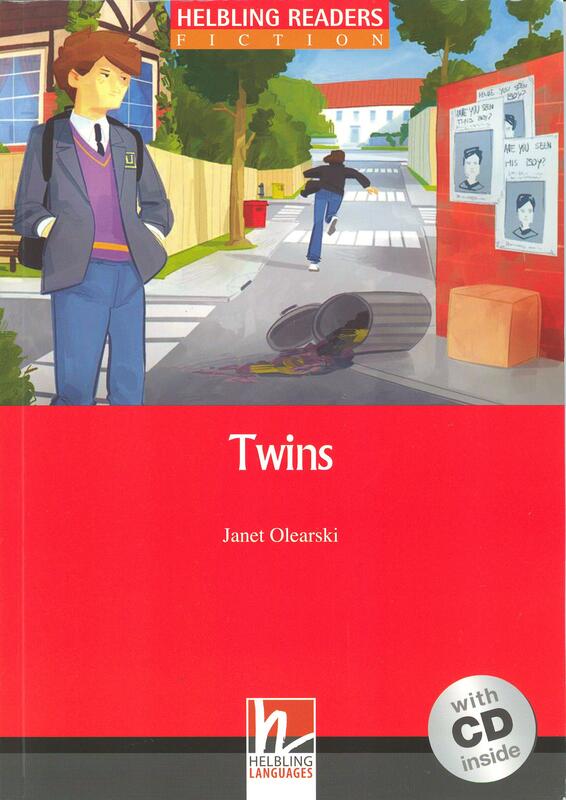 So for a new twist on twin tales, read … Twins. What kind of Twins are you expecting? Tim is determined to win the Arkwright Student of the Year award and take his mother on the First Prize trip to Disneyland Paris. He starts a Keep Arkwright Tidy campaign and everything is looking good until he and his friend William create mayhem in the park.